The business entity structures typically used by franchisors that set up a China-based system are either a domestic company (if a domestic franchisor) or a foreign-invested company (if a foreign franchisor). Entities or individuals other than enterprises may not assume the role of franchisor to conduct franchising activities in China. foreign-invested joint stock limited companies (FISCs). The laws governing the formation of business entities in China vary based on the nature and the type of business entity. Companies: governed by the Company Law (promulgated by the Standing Committee of the National People’s Congress with the latest amendments effective from 1 March 2014) (the Company Law). Partnership enterprises: governed by the Partnership Enterprise Law (promulgated by the Standing Committee of the National People’s Congress with latest amendments effective on 1 June 2007). Sole proprietorship enterprises: governed by the Law on Sole Proprietorship Enterprises (promulgated by the Standing Committee of the National People’s Congress and effective on 1 January 2000). The following types of FIEs are regulated by specific legislation in addition to the Company Law. In case of conflict, the specific legislation would prevail. FISCs: governed by the Law on Wholly Foreign-owned Enterprises (promulgated by the Standing Committee of the National People’s Congress with latest amendments effective 1 October 2016). Domestic and foreign enterprises are also regulated by different government agencies. The State Administration for Industry and Commerce (SAIC) governs the establishment and registration of Chinese domestic companies, sole proprietorship enterprises, partnership enterprises and other types of domestic enterprises. An FIE needs to seek approval from the Ministry of Commerce (MOFCOM) or its local counterparts. Other relevant government agencies are also involved if the FIE is engaged in business sectors that require special approvals or permits. As listed above, different types of business entities are governed by different laws and regulations that impose different requirements. In setting up a specific type of business entity, a franchisor must carefully follow the requirements of the appropriate laws and regulations. The Company Law was amended in 2013 (with effect from 1 March 2014). The amendments were meant to simplify the process of setting up a company in China and to stimulate the private sector. One of the most important amendments is that the registered capital requirements have been abolished by the SAIC, which greatly reduces the upfront cost for incorporating a company. The amendments directly reduce execution costs and expenses, while streamlining structuring considerations. Notwithstanding this, in practice, registered capital is still applicable for FIEs and is still subject to approval by MOFCOM (or its counterparts). Also, MOFCOM or its counterparts still require application documents related to the registered capital amount and the capital injection plan. In order to maintain the legality of a business entity, compliance with applicable laws in respect to, inter alia, registration, taxation, labour, customs and consumer protection is required. More specifically with regards to companies, a franchisor needs to pay attention to the Administrative Regulations on Company Registration (promulgated by the State Council, which entered into effect on 6 February 2016). Between 1 January and 30 June every year, a company must submit an annual report for the previous year to the company registration department of the SAIC. The annual report is available to the public. The contents of the annual report are subject to supervision and inspection by the SAIC. MOFCOM has divided foreign investment business sectors into four categories: encouraged, permitted, restricted and prohibited. The classification details can be found in the Industry Category Guide for Foreign Investors (the latest version came into effect on 28 July 2017). Therefore, foreign investors who are considering investing in China should first ensure that their intended business does not fall under the prohibited category (and to a lesser extent, under the restricted category). In terms of business structure, foreign investors are allowed to set up partnership enterprises in China, but the Administrative Measures for the Establishment of Partnership Enterprises within China by Foreign Enterprises or Individuals (promulgated by the State Council and effective on 1 March 2010) must be complied with. If a foreign franchisor is looking to expand its business into China, two specific regulations issued by MOFCOM need to be considered. First, in order to conduct franchise activities in China, all foreign franchisors must follow the measures set out in the Administrative Measures for the Record Filing of Commercial Franchises (promulgated by MOFCOM and which entered into effect on 1 February 2012). Second, the Interim Measures for the Recordation Administration of the Formation and Modification of Foreign-Funded Enterprises (promulgated by MOFCOM and which entered into effect on 8 October 2016) must be taken into consideration when a foreign franchisor establishes foreign-funded commercial enterprises within the territory of China and engages in business activities. Furthermore, when an enterprise with foreign investment invests in commercial sectors within the territory of China, it must comply with the Interim Provisions on Investment of Foreign-funded Enterprises in China. The major legal regime governing franchisors is the Law on Enterprise Income Tax, whose latest revision came into effect on 24 February 2017 (Enterprise Income Tax Law). Pursuant to the Enterprise Income Tax Law, taxpayers are classified in two categories: resident taxpayers, who pay enterprise income tax on their income earned inside and outside China; and non-resident taxpayers, who pay enterprise income tax on their income sourced from China (such as dividends, interest and royalties, etc. ), income earned by agencies or offices in China, and its income earned outside China but which is in substance associated with such agencies or offices. Resident taxpayer status refers to enterprises established in China according to Chinese law, or established according to the law of a foreign country (region) with its actual management body in China. Non-resident taxpayer status refers to enterprises established according to the law of a foreign country with its actual management body located outside of China, but that have established agencies or offices in China, or have income earned in China. If a foreign franchisor sells its franchise system to a Chinese company, it will be deemed a non-resident taxpayer and be subject to income tax (withholding tax) at the rate of 20 per cent of the income generated in China (ie, franchise fee, royalty, service fee and trademark licence fee (transaction amount)), unless otherwise provided by the tax treaty between China and the country in which the franchisor is located. If the foreign enterprise establishes a Chinese entity to sell franchises in China, then such Chinese entity would be the franchisor and the resident taxpayer. In this scenario, the profit of the franchisor will be subject to enterprise income tax set (at the time of writing) at the rate of 25 per cent. In addition to enterprise income tax, the franchisor’s business sales will be subject to VAT. Taxpayers in China for VAT purposes are divided into categories of ‘general taxpayers’ and ‘small-scale taxpayers’ according to the scale of their business operations and the degree of sophistication of their accounting systems. The VAT payable by general taxpayers is calculated using the output tax or input tax crediting system at the rate of 17 per cent for sale of products or at the rate of 6 per cent for the transfer of intangible assets and provision of consulting or technical services. For small-scale taxpayers, a simplified VAT calculation formula applies under which no credit or deduction is allowed for input tax, but tax is calculated at a lower rate of 3 per cent. The VAT is applicable regardless of whether the franchisor is a resident taxpayer or a non-resident taxpayer. However, a non-resident franchisor should apply the tax rates applicable to general taxpayers with no input credit available. For a typical franchisor, it will enter into a franchise agreement with franchisee and the franchisee is in charge of the business established according to the franchise agreement. The franchisor typically is not directly in contact with employees of a franchisee. Thus, there is little to no risk that employees of a franchisee could be deemed employees of the franchisor. Moreover, the risk of recognising the franchisee as the franchisor’s employee is low provided that there is a well drafted relationship clause in the franchise agreement to clarify the relationship between the two parties. China is a signatory to all of the major international trademark conventions or treaties. In 1982, the Standing Committee of the National People’s Congress promulgated the Trademark Law (the latest amendments became effective on 30 August 2013) that protects registered trademarks and in some cases, unregistered ‘famous marks’. As China is a first-to-file, first-in-right jurisdiction, the owner of a trademark will, in most cases, not be able to protect use of the trademark in China unless the owner registers the trademark with the China Trademark Office in the applicable classes. Therefore, a foreign franchisor should register its trademarks with the China Trademark Office before entering into commercial franchise agreements with local franchisees. Know-how is usually protected as a contractual obligation of the receiving party in the franchising practice. Unlike trademarks or patent, there is no registration regime for know-how. Some know-how, such as software, can be protected under the copyright regime; however, registration of know-how with authorities is not a mandatory requirement for copyright protection. If the know-how at issue qualifies as a trade secret, such know-how may also be entitled for protection from misappropriation under the Anti-Unfair Competition Law. The legal regime governing real estate imposes strict restrictions on foreign entities entering the Chinese real estate market. Without a Chinese establishment, a foreign franchisor is not able to purchase or lease commercial real estate. In order to avoid this issue, a foreign franchisor can establish a Chinese enterprise and such Chinese enterprise will be the franchisor and it may purchase or lease commercial real estate for its business operations. A franchise refers to a business activity where an enterprise that possesses registered trademarks, enterprise logos, patents, proprietary technology or any other business resources allows such business resources to be used by another business operator through contract and the franchisee follows an uniform business model to conducts business operation and pays franchising fees according to the franchise agreement (Administrative Regulations on Commercial Franchising promulgated by the State Council, which came into effect on 1 May 2007 (the Franchising Regulation)). Administrative Measures for Information Disclosure of Commercial Franchises (promulgated by MOFCOM and effective as of 1 April 2012) (Measures for Information Disclosure). MOFCOM and its local counterparts are the government agencies that primarily regulate the offer and sale of franchises. The principal requirements are as follows. a sister company of the franchisor and the parent company holds a majority equity interest in both the franchisor and the sister company. Within 15 days of signing its first franchising agreement in China, the franchisor files as a franchisor with MOFCOM or its counterparts (foreign franchisors file with MOFCOM, while Chinese franchisors file with MOFCOM’s provincial-level counterpart in the province where the franchisor is established). In the first quarter of each year, the franchisor files with MOFCOM or its counterparts an annual report that notes the following: the number of franchise agreements in the preceding annual report filed with MOFCOM, that were signed, terminated after the previous annual report and total franchise agreements in performance; the number of franchised units and turnover of such units; and the number of directly owned units and turnover of such units. addition or deduction of franchised units within the territory of China. Franchisors and franchisees must sign written franchising having an initial term of at least three years, unless the franchisee consents to a shorter term. Thirty days before the franchisor and franchisee sign a franchising contract, the franchisor must disclose to the franchisee the information in accordance with Administrative Regulations on Commercial Franchising and Measures for the Administration of Information Disclosure of Commercial Franchises and provide a sample of the franchising agreement to the franchisee. The franchisor must give a franchisee a cooling-off period to allow franchisees to unilaterally terminate the franchise agreement within a certain period of time after signing the contract (the franchise regulations do not specify the length of the cooling-off period). The franchisor must provide a franchise practice manual to the franchisee and must comply with stipulations of the franchise agreement related to operational guidance, technical support and service training. There are no exemptions or exclusions under the current legal regime governing franchises. have owned and operated two units for at least one year somewhere in the world (the 2+1 requirement). In addition to the above, the franchisor, when it applies for franchisor filing with MOFCOM, must have at least one registration certificate issued by China for trademark rights, patent rights or other business operation resources related to franchise activities (a trademark certificate is most acceptable by MOFCOM in practice). When the Franchise Regulation was initially adopted, this requirement was interpreted to mean any form of registered IP. In around 2010/2011, MOFCOM stopped accepting copyright registrations as it deemed this to be a weak form of IP. Since late 2015, MOFCOM has started to reconsider the possibility of accepting copyright registrations, but its current attitude towards this issue is still ambiguous. There are no restrictions imposed on franchisors when recruiting franchisees. If the franchisor requires the franchisee to purchase supplies from the franchisor’s affiliated or designated suppliers, the franchisor should inform the franchisee of such requirement in the disclosure documents and include such requirement in the franchise agreement (such a requirement may be affected by Chinese anti-competition laws, depending on the circumstances of the obligations). Pursuant to article 21 of the Franchising Regulation, the franchisor is required to comply with the information disclosure requirements 30 days before signing the franchise contract. Furthermore, the Measures for Information Disclosure provides that compliance with required information disclosure must be no later than 30 days before the signing of the franchise agreement, unless the franchise agreement is a renewal under the original terms. Updates to the disclosures are required to be ongoing. If there is any material change to the information disclosed, the franchisor should notify the franchisee of such change in a timely manner. Under a sub-franchising structure, it is the sub-franchisor who is obliged to provide the presale disclosure. The sub-franchisor must disclose to the sub-franchisee that it has obtained the necessary operational authorities from the original franchisor to grant sub-franchises. The disclosure will normally also contain some information disclosed by the original franchisor, such as the ownership of the trademarks. Article 22 of the Franchising Regulation and article 5 of the Measures for Information Disclosure both set out the information required in the disclosure documents. Although the requirements under the two legal pronouncements are very similar, the provisions under the Measures for Information Disclosure are more detailed. In summary, the franchisor must disclose the following to its franchisees at least 30 days before the franchisor and franchisee sign the franchise agreement. information concerning the franchisor’s or its related party’s bankruptcy or applications for bankruptcy within the past two years. information regarding any legal proceedings or arbitration involving the franchisor’s registered trademarks, corporate logo, patents, proprietary technology or any other business resources. where the franchisee is required to make payments before entering into the franchise contract, an explanation indicating usage, purpose of such fees and the conditions and manner of a refund should be given to the franchisee. whether franchisees have the right to choose other suppliers and if so, the requirements for such suppliers. the specific content of technical support provided and the method of provision and implementation, including the name and type of business resources and the type of products or equipment. the division of responsibility and liability between the franchisor and the franchisee for complaints by consumers and for compensation paid out to consumers. the basis for the budget estimate and the sources for the above data. the operating status of existing franchisees, including actual investment amount, average sales volume, costs, gross and net profit; and the sources of the data provided. Abstracts of the franchisor’s financial and audit statements for the past two years, which have been audited by an accounting or audit firm. Information on litigation or arbitration involving the franchisor within the previous five years in relation to the franchise business, including cause of action, location of the proceeding, pleadings and outcome. any criminal liability investigated by the authorities. a sample of other franchise-related agreements to be entered into between the franchisor and the franchisee at the request of the franchisor. Pursuant to the Franchising Regulation and the Measures for Information Disclosure, there is a continuing disclosure requirement imposed on the franchisors. In situations where there are any material changes to the disclosed information, the franchisor must notify the franchisee of such changes in a timely manner. The Measures for Information Disclosure indicates that if the franchisor violates the disclosure requirements, the franchisee has the right to report the violations to MOFCOM or its counterparts. Once the alleged violations are verified to be true, punishments will be imposed pursuant to provisions of the Franchising Regulation. More specifically, MOFCOM or its local counterparts should order the franchisor to make necessary corrections to the disclosure information and impose a monetary fine of between 10,000 and 50,000 yuan on the franchisor. In cases of a serious violation, the fine will be between 50,000 and 100,000 yuan and MOFCOM or its local counterparts will make a public announcement regarding the violation. If the representations of the disclosure document are sufficiently misleading, the franchisee could look to rescind the franchise agreement. Damages may be applicable depending on the negative effect of such misleading information or failure to disclose, in which scenario, the franchisor should compensate the franchisee for its direct loss resulted thereinafter. Only the sub-franchisor, not the original franchisor, is required by the regulation to provide disclosure to sub-franchisees. A sub-franchisor would be liable for disclosure violations. Without any clear judicial or regulatory guidance, it is difficult to say whether the original franchisor would be liable at all, and to what extent it would be liable, for defects in the disclosure documents, in particular with regard to the information that originated from the original franchisor. The current regime does not provide that individual officers, directors or employees of either the original franchisor or the sub-franchisor will be liable for the violation of the disclosure requirement, provided that there is no intentionally fraudulent or deceptive practice by such individual. In addition to laws and government agencies that specifically regulate offering and selling franchises, the following general principles of law affect the offer and sale of franchises as well. Contract parties should observe the principle of fairness in defining their respective rights and obligations and avoid fraudulent conduct, for example, if the franchisor provides standard terms in the contract, it is required to draw the attention of the other party in a reasonable manner to the terms that exclude or restrict the other party’s liabilities, and explain the standard terms to the other party at the request of the other party. performing any other acts against the principle of good faith. the Anti-Unfair Competition Law (revised in 2017 and effective on 1 January 2018) and the Anti-Monopoly Law (promulgated on 30 August 2007) may also be applicable. As some of the disclosure information may be regarded as advertising by the franchisor, general advertising rules may be applicable. Pursuant to the Advertising Law, the content of the advertising must be true and lawful. In addition, the advertisements may not resort to any falsehood to deceive or mislead the public. In a situation where a description for a patent is required, the patent number and patent category should also be clearly outlined. if a crime has been committed, the offending party will be subject to criminal penalties. The guiding opinions of the Higher People’s Court of Beijing Municipality on several issues concerning the application of law in the trial of disputes over commercial franchise contracts (the Notice) further provides that if the information or business resources directly related to the essential contents of the franchised business are concealed, falsified or exaggerated by the franchisor, the franchisee may request cancellation or rescission of the franchise agreement. In addition to the sanctions provided in Franchising Regulation, fraudulent or deceptive activities are also subject to the provisions of the Contract Law, pursuant to which, the franchisor may be liable to compensate the franchisee for its losses that resulted from such fraudulent or deceptive activities. In China, the Franchising Regulation and the Measures for Information Disclosure are the two major regulations governing the ongoing relationship between franchisor and franchisee. without the consent of the franchisor, a franchisee may not transfer the franchise to a third party. Information disclosure requirements, as discussed above, are also part of the ongoing relationship between franchisor and franchisee. In addition to the Franchising Regulation, the Contract Law, the Civil Code and the Civil Law are the main laws that may affect the franchise relationship as such legal pronouncements govern the validity, interpretation and performance of the franchise agreement. MOFCOM and its local counterparts are the government authorities in charge of the administration of franchise activities. MOFCOM is responsible for cross-border franchise activities while its local counterparts are in charge of the domestic franchise activities. General commercial matters are supervised by the SAIC. The China Chain Store & Franchise Association (CCFA) and its local counterparts are the industry association for the franchise business sector. CCFA and its local counterparts are not government bodies and do not have supervising authority, but provide input to MOFCOM concerning industry issues. the franchisee delays performance of its obligations, or breaches the franchise agreement in some other manner, rendering it impossible to achieve the purpose of the franchise agreement. The Franchising Regulation provides a mandatory cooling-off period during which the franchisee may terminate the franchise relationship without cause; the Franchise Regulation does not set out the length of the cooling-off period. the franchisor delays performance of its obligations, or breaches the franchise agreement in some other manner, rendering it impossible to achieve the purpose of the franchise agreement. There is no mandatory requirement on the franchisor to renew the franchise agreement. The franchisor has sole discretion to renew a franchise agreement unless the franchise agreement provides otherwise. The Franchising Regulation expressly prohibits franchisees from transferring its franchise to a third party without the franchisor’s consent. Under China’s legal regime, transferring an equity ownership interest in the franchisee legal entity is not deemed as a transfer of the franchise. However, the franchisor can restrict such equity ownership interest transfer if there is a provision expressly to this effect in the franchise agreement. The parties are free to negotiate the amount and terms of payment of the initial franchise fees, royalties and any other payments to be made by the franchisee to the franchisor. If the franchise arrangement is between the franchisor and an affiliated company, the amount of the fees must not be more than the industry standard for the region. However, the Franchising Regulation provides that if a franchisor requests a prepayment of the initial franchise fees before the execution of a franchise agreement, the franchisor must explain to the franchisee in writing the purpose of the payment as well as the conditions and manners for a refund. In addition, the amount collected by a franchisor for promotion or advertising may be used only for the purpose agreed in the franchise agreement and the franchisor is required to update the franchisee on the status of such usage. It is possible to charge interest for overdue payments if the franchise agreement has expressly provided for such interest payment. If there is dispute over the interest rate in court or in arbitration, the adjudicator may adjust the interest rate provided in the franchise agreement if the adjudicator believes the interest rate was excessive and not in compliance with legal requirements. Where the franchisor is a foreign entity, the payments for royalties, franchise fees or service fees, should be converted into foreign currency before remittance to the franchisor. Although China imposes foreign exchange restrictions for cross-border transactions, remittances based on legitimate commercial transactions are possible. The franchisee can convert and remit foreign currency to the franchisor provided that certain formalities are fulfilled by providing supporting documents of the transaction to the bank, such as franchise agreement and the tax certificate evidencing that the applicable tax has been paid. With effect from 1 September 2013, the Chinese authorities issued additional rules affecting the remittance of fees offshore. The changes appear to reflect Chinese regulators’ willingness to relax their grip on the remittance of funds outside of China. Most importantly to foreign franchisors, franchise fees are expressly mentioned as payment under trade in services, and therefore can be remitted outside of China based on the franchise agreement. the Detailed Rules of Implementation of the Guidelines for Foreign Exchange Administration of Trade in Services. Confidentiality covenants in franchise agreements are enforceable. In addition, even if the franchise agreement was terminated or later rescinded, such confidentiality covenant will still be valid and the franchisee will be obligated to keep confidential the information it obtained from the transaction. The Franchising Regulation expressly provides that the principles of free will, fairness, honesty and good faith should be followed in franchise activities. The Contract Law provides a general obligation for parties to deal with each other in good faith. This general principle is applicable to franchise agreements as well. If a party is found to be deliberately concealing important facts, providing false information, or performing other acts that violate the principle of good faith, such party will be responsible for all damages caused to the other party thereof. In addition, if a contract is concluded by one party against the other party’s good faith by the use of fraud, the other party is entitled to rescind the contract. No, the Consumer Protection Law defines ‘consumer’ as one who purchases goods or services for his or her own consumption. As a franchisee purchases materials or services from the franchisor for business purposes (not for its own consumption), a franchisee will not be deemed as a consumer. Chinese law does not require the franchise documents to be in Chinese. However, to avoid potential disputes with local franchisees and for the purposes of registration with the local authorities, a Chinese version of the franchise documents is recommended. In addition, for franchisor filing purpose, the Chinese version of the franchise agreement or the Chinese translation of the franchise agreement should be prepared and submitted to MOFCOM as part of the franchisor filing documents. At this time, there are no specific restrictions on provisions in franchise agreements. The Contract Law rules still apply and there are also general principles of free will, fairness, honesty and good faith to keep in mind. Moreover, when entering into a franchise agreement, the Anti-Unfair Competition Law and the Anti-Monopoly Law must always be considered in the same general manner as any other commercial enterprises operating in China. other matters as stipulated by the franchisor and the franchisee. Furthermore, pursuant to article 12 of the Franchising Regulation, the franchise agreement must include a provision for a mandatory cooling-off period during which the franchisee may terminate the franchise agreement. Moreover, a franchise contract should be at least three years in duration, unless otherwise agreed by the franchisee. This requirement does not apply when a franchise agreement is renewed. The legal regime for competition law is primarily covered by the Anti-Unfair Competition Law and the Anti-Monopoly Law. These two laws provide the following restrictions on price and use of intellectual property, which are related to typical franchise transactions. limits on the developments of new products or new technology. using the certificate of another business on merchandise. A franchisor will not be considered to be in violation of the Anti-Unfair Competition Law and the Anti-Monopoly Law unless there is an abuse of market position, impairment of public interest and interference of a franchisee’s lawful business activities. Conversely, if a franchising transaction’s purpose is to create market barriers, sell unmarketable goods or abuse a position of power, then it will be construed as a violation of unfair competition legislation. The offending franchisor can be punished by fines or other penalties, as set out in the legislation. The court system in China consists of four levels: basic people’s courts, intermediate people’s courts, the high courts (the highest court in each province) and the Supreme People’s Court (the highest court in China). China has a civil law system and thus case precedents are not binding. In some areas of China, the government has established intellectual property courts, which can handle franchisor-franchisee disputes related to intellectual property issues if there is no arbitration arrangement between parties to the dispute. In terms of dispute resolution procedures, franchise transactions are treated no differently from other commercial disputes. Besides the court system, parties are also able to resolve disputes through arbitration. Pursuant to the Arbitration Law, the parties may select arbitration as the dispute resolution mechanism as long as they enter into a valid arbitration agreement or if there is an arbitration clause in the mutually agreed agreement. The arbitration body must be properly accredited and may be located in any jurisdiction. Moreover, the arbitration body must be expressly identified for the arbitration agreement or arbitration clause to be valid. In some cases, administrative action may also be involved. The SAIC is the supervising authority of companies registered in China. Before going to dispute resolution, a franchisor or franchisee may also choose to make a claim with the competent SAIC authority for administrative action, which may include a disciplinary warning, a fine, confiscation of illegal gains or confiscation of unlawful property or things of value, an order for the suspension of production or business operation, the temporary suspension or rescission of permits or temporary suspension or rescission of licences, or administrative detention. For foreign franchisors, it is recommended to resolve legal disputes through the arbitration process as arbitration allows them to bypass the local court system, where bias based on protectionism and corruption is a legitimate concern. The major arbitration bodies in China are able to appoint foreigners as arbitrator. The main disadvantage of this process is that under MOFCOM's current practice (which may change from time to time), the arbitration forum must be inside China and the applicable laws must be Chinese Laws, even if foreign-related disputes are involved. Foreign franchisors may not be as familiar with Chinese law as the local companies. In general, foreign franchisors are treated similarly to domestic franchisors from a legal standpoint. in relation to the business resources or IP registration requirement mentioned in question 13, while MOFCOM has been reluctant to accept forms of registrations other than trademarks, many of its local counterparts (eg, Tianjin and Beijing) accept copyright registrations if the franchisor does not own a trademark registration granted by China. The Shanghai counterpart even accepts a notice of acceptance of trademark registration. A speech made by a MOFCOM official at the China Franchise Convention in 2017 for the 10th anniversary of the Administrative Regulation on Commercial Franchising revealed that MOFCOM plans to accelerate the amendments to the Regulations, considering some provisions of the Regulations cannot keep pace with the needs of industrial developments. The revisions would aim at simplify the filing procedures while strengthening disclosure for the purpose of maintaining a fair and transparent commercial environment. That said, it is unclear when the amendments would be released as for now no official legislative plan for the amendments has been issued. Despite the absence of any written document, MOFCOM requires that the arbitration clause in the franchise agreement shall prescribe that the arbitration forum must be chosen inside China and the governing law shall be Chinese law. This is a new requirement imposed by MOFCOM, and failure to comply with this rule will result in MOFCOM’s rejection to the filing request. 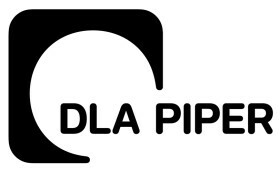 DLA Piper is a global law firm with lawyers located in more than 40 countries throughout the Asia Pacific, the Americas, Europe, the Middle East and Africa, positioning us to help clients with their legal needs around the world.